The FlexiFit™ 405 Nasal Mask offers an over-the-nose mask solution that fits better, feels lighter and is easier to use. When you study the FlexiFit™ series you can immediately see why these nasal masks are so comfortable and user-friendly. 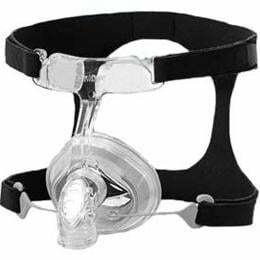 With FlexiFit™ Technology and our unique Glider™ Strap the FlexiFit™ 405 Nasal Mask comes as an Out-of-Box solution fully assembled and ready for use.